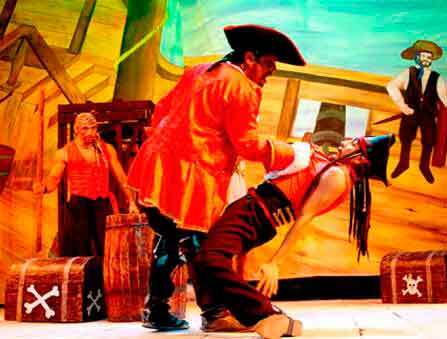 This hilarious Pirate Assault is an amazing party adventure in Cancun. 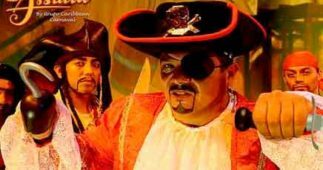 Suddenly, you’ll find yourself in the middle of Crazy Pirates that will make you dance, laugh, and have a lot of fun. 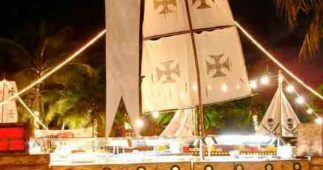 You will play, compete, and dance on deck fast-sailing your way to one of the most popular Islands of the Caribbean, Isla Mujeres which is located right in front of Cancun, Mexico. 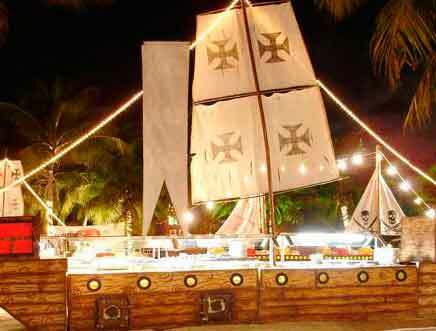 The meeting point for this great Pirate Assault Adventure in Cancun is Playa Tortugas right in the Hotel Zone. Our friendly staff will help you with your check in and registration. Then, the pirates will guide you directly to the Party Boat. Once we start cruising from Cancun to Isla Mujeres, you will have access to a variety of drinks from our domestic open bar. Take part in the conga and limbo lines, and dance to the rhythm among crazy pirates. Laugh and dance the night away, and partake in different contests on the dancing deck. Once we drop anchor at the Beach Club in Isla Mujeres, let your imagination be captivated by our amazing attraction show. 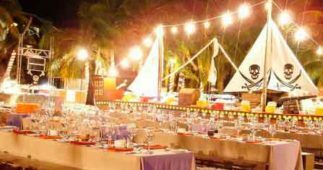 This recreation of a legendary pirate celebration is complemented with lots of games, great contests, world famous limbo, and you can tie it all together by showing off your dancing skills. 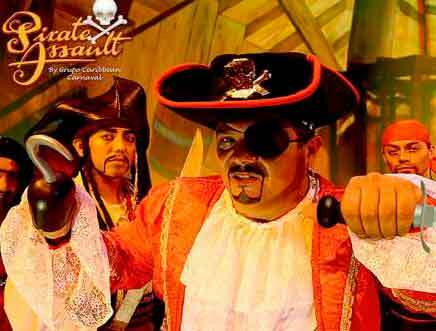 Children will live a fairytale pirate story full of action, games and comedy, the ideal kids activity in Cancun! This combination makes the Pirate Assault the perfect adventure for your family vacation. Enjoy our delicious Mexican buffet including tasty arrachera, chicken, salads, cocktails and delicate desserts, served right on the Beach. Feel free to ask for another drink at the open bar! We can satisfy even the most demanding of palates, such as Margaritas, Tequila Sunrise, Rum Punch, Piña Colada, beer, brandy and vodka. Live music, gamesa and contests! 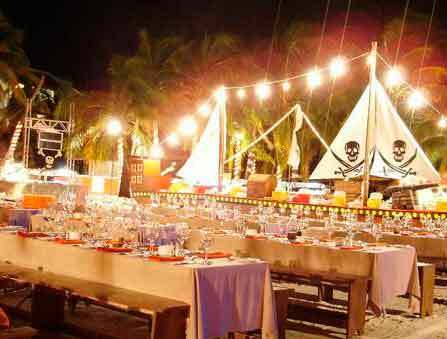 Join the celebration of Cancun’s nightlife and crazy pirates. Schedule: 07:00 pm to 11:15 pm (summer schedule). Meeting point: Caribbean Carnaval pier at Playa Tortugas Cancun – “The Fisherman” Private Beach Club at Isla Mujeres. Buffet including fresh salads, pastas, baked bread, beef, chicken, fish, desserts, coffee. $7.00 USD dock fee per participant paid at the time of registration. Souvenirs, Photo & video or any other extra cost service provided at the location. Family Tour. Adults and Kids of all ages. It is important to be ahead of time for your tour, 15 minutes will be enough.